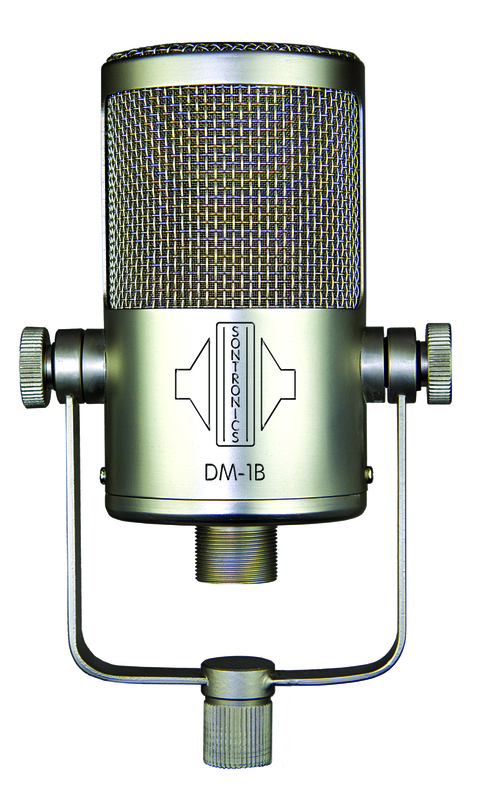 Our British-designed Sontronics DM-1B is a large-diaphragm condenser microphone with a fixed cardioid pattern, created specifically for use with kick drum and bass instruments. The DM-1B, along with our DM-1S for snare and DM-1T, represents three years of research, design and development alongside top producers and drummers, and all three microphones have become best-sellers for drum recording, both live and in the studio. by how good they sounded"
Thanks to its high sensitivity, low self-noise, a -15dB attenuation pad and the ability to handle up to 155dB SPL, theDM-1B delivers outstanding results on kick drum and also sounds fantastic on bass guitar cabinets. Its incredible power handling will capture all the attack, resonance and energy from your kick drum and other bass instruments like nothing you've ever heard before! Because of the way DM-1B captures sound, it will also give brilliant results on any other instruments with low-frequency bias, from trombone and tuba to tenor or baritone saxophone, double bass and organ. 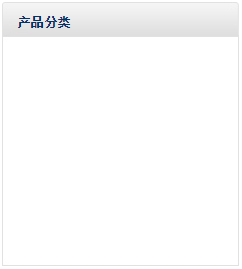 Users also tell us that it sounds great on deep male vocals as well as rap and beatboxing. "DM-1B sounds absolutely brilliant, right out of the box, with no need for any EQ. The DM-1B, DM-1T and DM-1S truly capture my drums without any need for any enhancement. The results are amazing!" 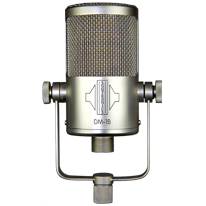 The DM-1B is designed with its fixed cardioid capsule facing out of the top end of the microphone (end-fire style) and can be positioned either to the front head of the drum or even pushed towards or slightly inside the soundhole of the kick drum. The DM-1B is supplied with its adjustable yoke mount in a sturdy aluminium flightcase and, like all our microphones, is covered by our unique Sontronics LIFETIME WARRANTY. If you're recording drum or bass instruments of any kind, DM-1B is a definite must-have for studio or live recording!